Q : How can I book an apartment ? R : Please refers to this page and send me an email on the contact page. Q: I saw an apartment that I really liked on the website, but I am still overseas. Is it possible to make a reservation? A: YES, you can reserve the apartment 1 month before your arrival date. We do require a 25000yen holding deposit for this though, which can be send by Paypal. This holding deposit will be applied towards the 1 month security deposit once you move in, and the contract for the apartment is made. If you decide to not move in though, or not contract for the apartment then the holding deposit will not be refunded. 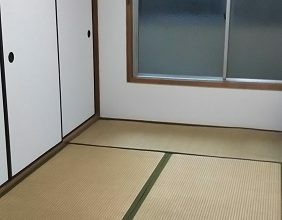 Q: I live in Japan now, but too far away from Osaka City to come by and visit and see the apartment. Will I still be able to reserve the apartment? A: YES, you can simply send a holding deposit of 25000yen by Japanese Bank transfer, Japanese Postal account transfer or Paypal. If you decide to not move in though, or not contract for the apartment then the holding deposit will not be refunded. Q: My Japanese is not that good, and I need to have my utilities turned on. Is ABHousing Osaka able to assist me with this? A: YES, we will hook up all the necessary utilities before your move in date. Gas, Electricity, Water. We will also sign you into our Apartment Insurance Policy. Again, when you are ready to move out, we will contact all the utility companies for you and have them turn off the utilities and either send the final bill to your new address or have the utility companies come by on the move out day for final payment in cash. Q: If something goes wrong in the apartment while I am living there will ABHousing Osaka be there to help out? A: YES, this is where our service is key. We assist you throughout your stay at our apartments. We are not a real estate agency, and work directly with the owners of the properties, and will assist you and the owners of the apartments if apartment related problems arise. We have all the necessary companies for all kinds of fixes all lined up. Most of the time it is simply a phone call away for us to solve the issue. Do thus not be afraid to contact us is things go wrong. Q: I really need internet right away for staying in touch with my family back home, and to search for a job. Actually, I am not able to live without it. What can ABHousing Osaka do for me? Cable internet will be either Bay Communications or JCom. They will offer both internet and/or Cable TV. NTT BFletz Fiber Optics is offered through the phone line by NTT, the national telephone company. They also offer a TV channel package. AU/KDDI is a broadband service which also goes through the phone line. All the services have unlimited use, and do vary a bit in price. It is thus worth it to check around a bit for the pricing and conditions for the different available services. ABHousing Osaka is also an agent for Bay Communications (only available in limited areas though), and is thus able to get the service connected for you even before moving in. If any problems occur with the Bay Communications service we will make sure that it is taken care of asap. For NTT BFletz, AU/KDDI, JCOM cable internet you will have to contract with the companies yourself. This can be done at the bigger electronic shops like Yodobashi Camera and Bic Camera. Q: I am looking for an apartment for a shorter than 3 months. 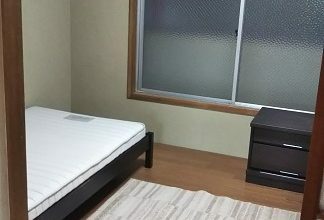 Does ABHousing Osaka have any options for me Short Term wise? A: Yes we do. Unfortunately only in the Osakako area though. Most of the owners that we deal with shy away from short term stays. But our Osakako (meisei) building allows stays from 1 month. Of course the shorter stays will be a bit more expensive on a monthly basis. Any stays shorter than 1 month will have to pay the monthly fee. 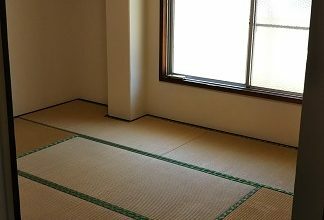 Again, moving in directly upon arriving in Japan is no problem for us, and we can also provide internet service if needed. Q: I would like to move in the apartment mid-month, will this mean that I have to pay the rental fee for that whole month, or can I simply pay for the days I stay the first month? A: You will only have to pay for the days you use the apartment on the move in month, and also on the move out month. We try to make it as fair as possible by not charging anything unreasonable. On the move in month, your rental fee will thus only be for the days you use that month, and on the move out month you can simply pay the rental fee for only the days you will use that month. Q: How do I get my security deposit back? Especially since I am going back overseas to my home country and will no longer have access to my Japanese bank accounts anymore? 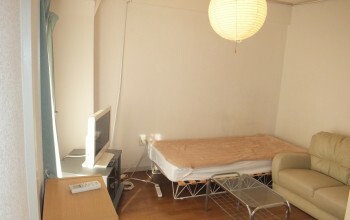 A: By contract it states that ABHousing Osaka will have a 1 month term to return the deposit to you. However, in practice we return the deposit on the day you leave after having done the inspection of the apartment and having the keys returned, in cash. If, however, there is damage to the apartment beyond normal wear and tear, or if the cleaning is not sufficient then we may not be able to return the deposit until the appropriate fees are calculated, estimated and then deducted from the 1 month deposit. We may thus at times have to return the remainder of the deposit to you by bank transfer. Any transfer fees for this will have to be paid for by the receiver.